There are a lot of myths around stains that leave the people in Arlington apartments believing there's only so much that can be done. For example, you may think that if your clothes have already been exposed to the heat of a dryer, then there's no hope for removing the stain that's already set in. But luckily for you, there are more options than you think. Here are a few ways to get out a stain that has stubbornly refused to leave. Vinegar is sort of a catch-all when it comes to removing stains and (especially) odors. It's cheap, easy to find, and effective when used correctly. So if you buy a piece of clothing from a thrift store that has more than a hint of mildew or a few mysterious stains, you can create an equal-parts solution of salt, water and vinegar. Once the fabric has soaked for a few hours, you can wash the clothing and check it again. If there's anything left over, try making a solution that is equal parts salt and vinegar (no water) and try it again. You can use this combination for practically any stain you have. Most stains will respond to repeated treatments, which is why you may need to be persistent. Much like with our vinegar trick, there's no need to buy expensive products from the store or infomercials. You can use household products like dish soap and enzyme detergent to rub away anything from red wine to chocolate. There are plenty of tips you can find online on how to portion out your homemade solutions, but the truth is that you don't necessarily need to follow the recipes exactly. As long as you use the main ingredients, you should be able to experiment with the proportions and the stain to see what works for you. Removing stains can be difficult, but it's easier than buying new clothes, carpet or furniture. Use these tips as a way to bring back those possessions you thought were long lost. 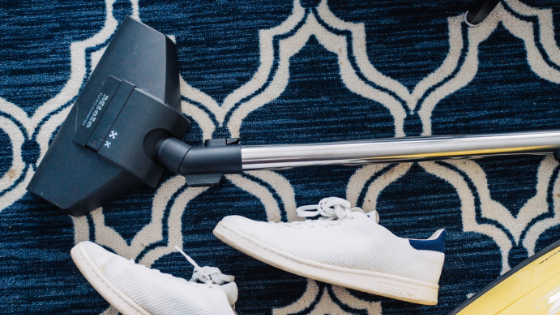 If you're looking for an apartment complex that values cleanliness as much as you do, contact Citizen at Shirlington Village for more information on our amenities, floor plans and availability.